With two residences, established around 1910, and immaculately refurbished for today's living, “Stanton” homestead is on an approximately 42 acre parcel of prime farm land. The main Edwardian residence is impressively renovated in all aspects and has quality timbers of jarrah,oak and cedar. With 3.3 ceilings, and maintaining many original features the residence exudes the warmth and character of a bygone era, whilst absorbing the needs of today's living. With entry via the deep verandah, the formal lounge room has unique cornice works, original wall rendering,and ripple glass features. The open fireplace is flanked by shelving. A lovely peaceful room. Comprised of 4BR, the main has a chandelier, its own fireplace and a spa ensuite with dressing room. The residence boasts a magnificent kitchen (huge Caeserstone island bench, european dishwasher, duel ovens and induction cooktop. Adjoining butler's pantry.) The generous family dining room overlooks pretty gardens. The grand formal dining room would befit the greatest of dinner parties and family functions. The residence has hydronic heating and a pergola/gabled outdoor living room for casual outdoor entertaining,barbeques and luncheons. Additionally, the second dwelling is an original 3BR self contained cottage, again fully renovated with style, ideal for the extended family residence, manager, or guests house. Extra highlights include a lit mod-grass tennis court, sweeping lawns and old established gardens. Infrastructure - well fenced paddocks, autofilled troughs, laneway system, dams, undercover stockyards, historical shearing shed with three stables,silo,windmill, huge machinery shed/workshop and numerous other sheds. Water approx. 132,500 litres of tank water and springfed creek and two big dams. 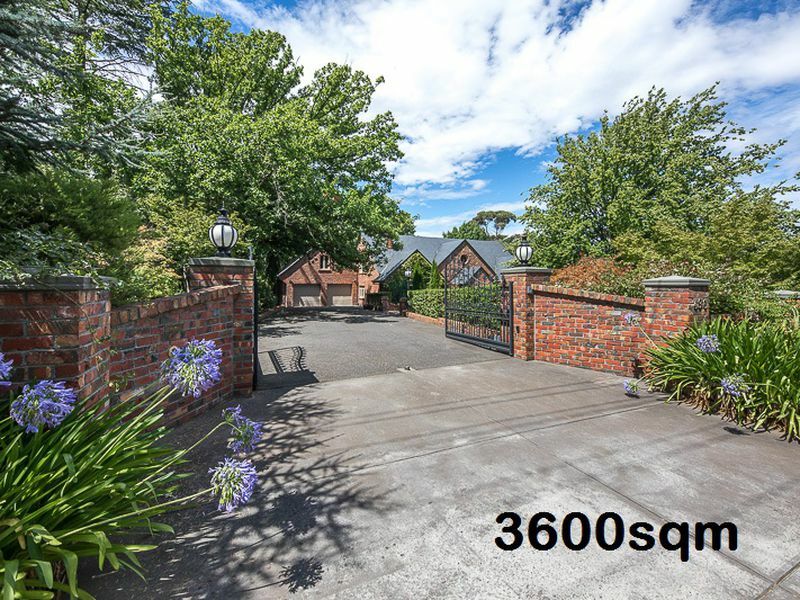 This is certainly an imposing property with its two residences, beautiful acreage, infrastructure and facilities that it is a dream property for those seeking a very comfortable country lifestyle with easy commutability to Melbourne, Gisborne and surrounds. VENDORS OFFER OPTIONAL PURCHASE OF ADJOINING 32 ACRES VACANT LAND. If you are interested and wish to discuss the property further, please contact the agents and a private inspection can be arranged.